in between our two main event shows on Saturday night. 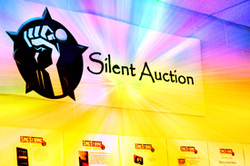 And the best part is that 100% of every dollar raised at this auction benefits the fight against Alzheimer's ! Feel great while you do good! Our 2016 partner is the Cure Alzheimer's Fund!